As bond counsel, Tread assists local governments in Northeast Georgia in obtaining tax-exempt financing for infrastructure projects, primarily schools and water and sewer improvements. As counsel for two development authorities, he assists in obtaining industrial development bond financing for regional projects. Tread also represents lenders and developers in commercial lending and commercial real estate transactions. 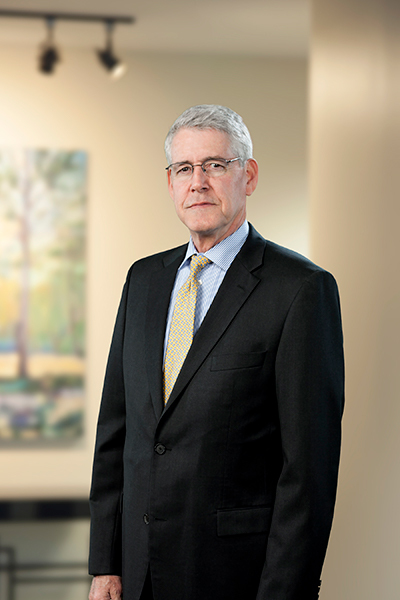 He specializes in securities law for entities raising capital through private placements of securities. Active in numerous civic organizations, Tread has served as chairman of the Greater Hall Chamber of Commerce, chairman of the Gainesville-Hall County Economic Development Council and president of the Hall County YMCA. He has also served on the boards of numerous civic organizations. He is currently on the board of Glory, Hope & Life, Inc., a charitable organization that aids cancer patients. A native of Gainesville, Tread has an undergraduate degree from the University of Georgia, a law degree from the University of Georgia School of Law and a master’s degree in taxation from Emory University School of Law.